Philippe Chabot is me! 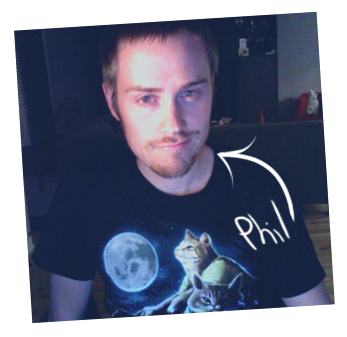 A Keyboard Cat t-shirt wearing, Montreal-based artist obsessed with video games and hidden inside a creatures mouth. I'm sometimes available for freelance work. Check out the galleries to see what I'm all about.